areas at a very competitive price. 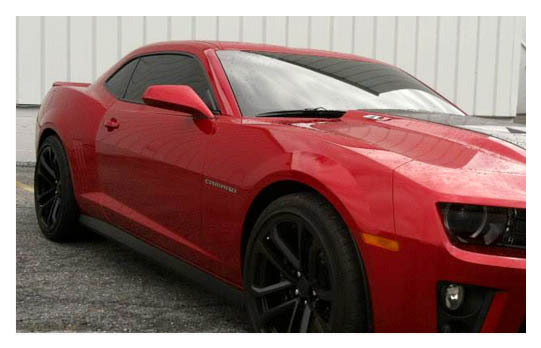 Window film lines are available in High Performance HP, Carbon and Standard. Carbon is a non-metal, non-reflective, “black” finish that will not fade. This option offers great solar performance with advanced UV protection. Carbon has no metal layers that can cause interference with cell phone, radio, or navigation system signals. Warranty includes fading. High Performance Series is a dyed-metal hybrid construction that is a tried and proven product. It has been an industry staple for years and offers both high quality and performance. Charcoal, bronze, and blue options enhances the look of any vehicle offering superior heat rejection and glare reduction for added comfort as well as excellent optical clarity. The Standard line of window films is a dyed construction offering both high quality and good protection. Some options include dyed-charcoal construction, non-reflective interior and exterior appearance. Standard offers good heat, glare, and UV rejection as well as optical clarity.